HTC has been able to build attractive smartphones like our editor's choice HTC One, but its support of post-launch Android updates hasn't been as solid. That's about to change. The company has promised to support "all new flagship devices going forward with all major Android updates for two years," according to the HTC US product team in a Reddit thread. So far, this ambitious goal only applies to its North American phones and we put in an inquiry to HTC to see whether it'll make a similar global commitment. Steady Android updates certainly haven't been the case with the HTC One X and HTC One X+. They're stuck with Android 4.2.2, unable to be upgraded to Android 4.4 KitKat, even though X+ came out 14 months ago. HTC blames the lack of HTC One X and X+ updates on chip maker Nvidia. It no longer supports the Tegra 3 and is instead focusing on its newer Tegra 4 and Tegra K1 processors. However, the Taiwanese phone manufacturer does have one possible contingency plan for its US customers: it's actively "exploring" an update to Android KitKat 4.4 for the HTC One X since it has a Qualcomm processor instead. HTC also mentioned that US customers will continue to receive Android 4.4 upgrades on its newer flagship smartphone, the HTC One. Next up is T-Mobile, which should have the new firmware in a matter of days. Windows Phone Blue update too? HTC refuted a question as to whether or not it's "done with Windows Phone," calling itself a strong partner of Microsoft. In fact, the company confirmed that it's working with Microsoft to bring the forthcoming Windows Phone Blue (better known as Windows Phone 8.1) update to its existing Windows Phone 8X smartphone. Windows Phone 8X is almost a year and a half old, so it may be getting the same prolonged updates treatment as Android. 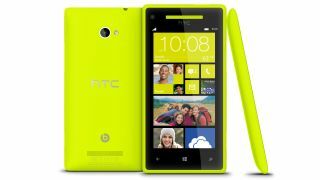 HTC also refused to talk about the possibility of a new Windows Phone in its future, but said it will continue to take new products into consideration. The Blue update is a good start. Speaking of updates, the Xbox One firmware is ready to download.